One of the most popular posts on my blog is this one, an article about creating a luxury bathroom but without spending a fortune. It seems everyone wants to know how to get the luxury look without spending lots of money. And why not. But what if money was no object? 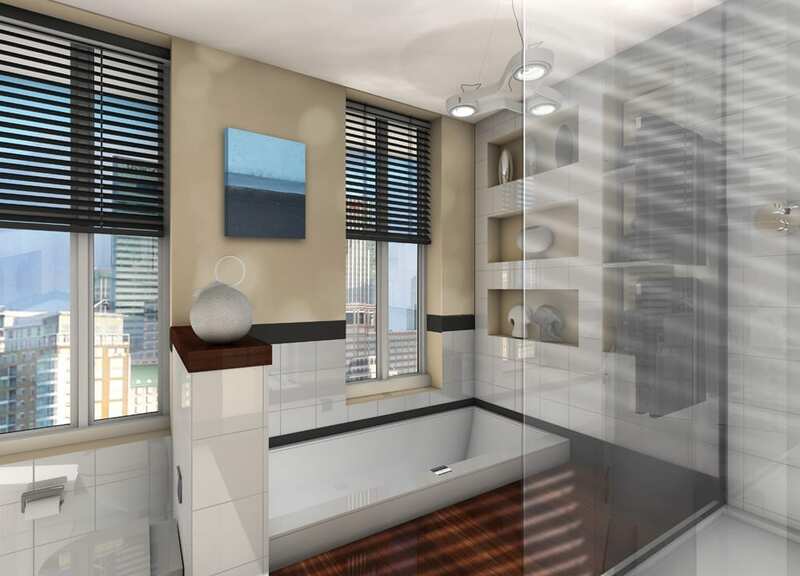 What if you could create the bathroom of your dreams and had unlimited funds? I don’t necessarily mean in a mansion or a different house, but what if you didn’t have to compromise on cost for the pieces and design of your current bathroom? What would you do differently, and what could you not live without? As I’ve been giving some thought to the kind of look I’d like in our new little en-suite (lots of cash constraints there!) I’ve been looking around at different products. Here’s a fun list of the kind of things I’d like to see in our bathroom, if money was no object. There’s something quite decadent about a sunken bath. Maybe it’s the connection to Cleopatra and Roman baths that make it seem so indulgent. I’m thinking of milky water and rose petals, glasses of wine and bucket loads of relaxation. This article over on the UK Bathrooms Blog has a good example and lots of tips on creating that luxury bathroom we all strive for. I must admit I did think about this for the new bathroom. I’m pretty fed up with brushing my teeth and having to clean the sink down first – sorry chaps! My own sink feels like quite an indulgence, and we don’t really have the space, but this would be quite a luxury for me. I’m a huge fan of a jacuzzi or spa bath and would love one in my own home. We don’t have the space let alone the budget but this one would be high up on my list of requirements. There are some amazing versions around on the market but I’d love one that fits more than one person, has head rests and mp3 player connectivity. Too much to ask? I’ve seen these on the blog before and even gave one away at one point. An Audio Bathroom cabinet would be wonderful, giving the ability to bluetooth my phone or mp3 player and listen to my favourite tunes whilst in the bath. Of course, that’s if I ever get left alone long enough to enjoy a relaxing bath. What extras would you include if you were designing your own luxury bathroom? Or how would you improve your current bathroom if money was no object? That bath!!! if money was no object I would have two separate bathrooms, one with the most amazing spa bath in it and the other would be a gorgeous wet room with a rain fall shower!